Anjali Sanghi was born in 1980 in New Delhi, India. Her artistic talents started to emerge at a very early age . Anjali's paintings takes shape intutively and are loved worldwide.. With Rhythmic curves and blended lines she goes beyond the realm of thought into the deep peace, from where these artworks appear & spread positivity wherever they are placed. There is a harmony, a synchronicity which appears in all her works. 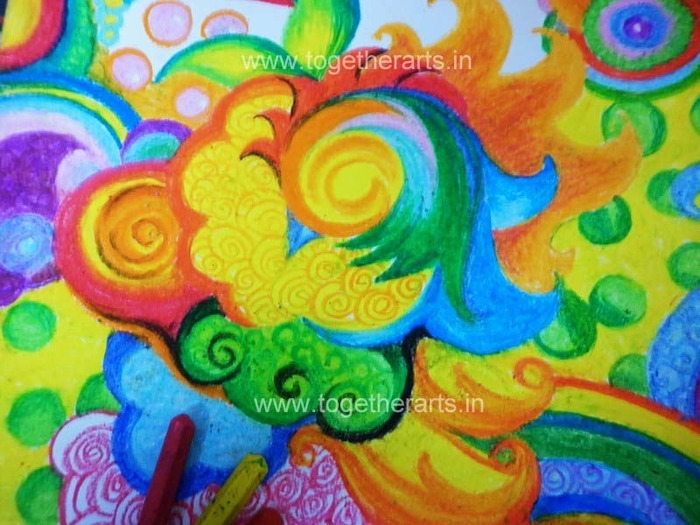 She likes to paint in various mediums and loves to create by mixing several un-conventional mediums innovatively. She is also highly educated with varied work experiences.